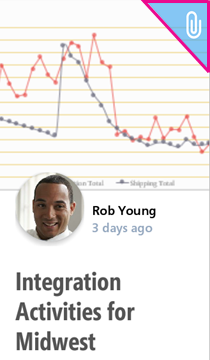 What kind of information will I find in Office Delve for Android? You'll only see attachments if you're using Office 365Office 365 . Some of the people you're connected to in the organization, or people you work with across teams. 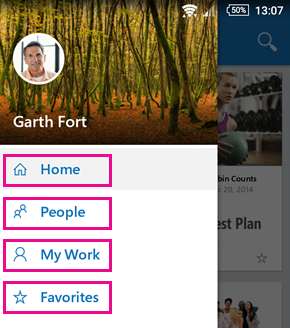 You can also search for people in your organization. 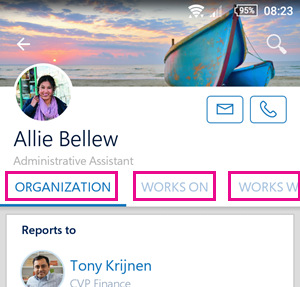 Tap a person's name or picture to see the person's organization view, documents the person works on, other people the person works with and documents their colleagues work on. 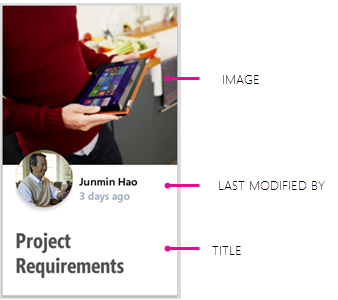 Delve shows each document as a content cards. The information on a content card helps you understand why a document is interesting or relevant to you. To turn off notifications, tap your phone's Settings > Apps> Delve > clear the box Show notifications.